2018 Travelers Club Championship Kicks off Monday in Miramichi! It was the Kory Kohuch rink out of the Saskatoon Nutana & the Elaine Osmachenko foursome from the Moose Jaw Ford Curling Centre back in March that claimed the 2018 Travelers Curling Club Provincial Championships, which were held at the Humboldt Curling Club! Each team will make their way to Miramichi, New Brunswick to take on the best in the country, which kicks off Monday! Osmachenko and her rink, who defeated Team Rebecca Ryde 6-2 to claim the victory, earned the right to represent Saskatchewan at the 2018 Canadian Championship! Joining Elaine is Candace Newkirk, Malysha Johnstone & Sheri Logan! These ladies are looking to keep things rocking into the national championship as they went undefeated in Humboldt. 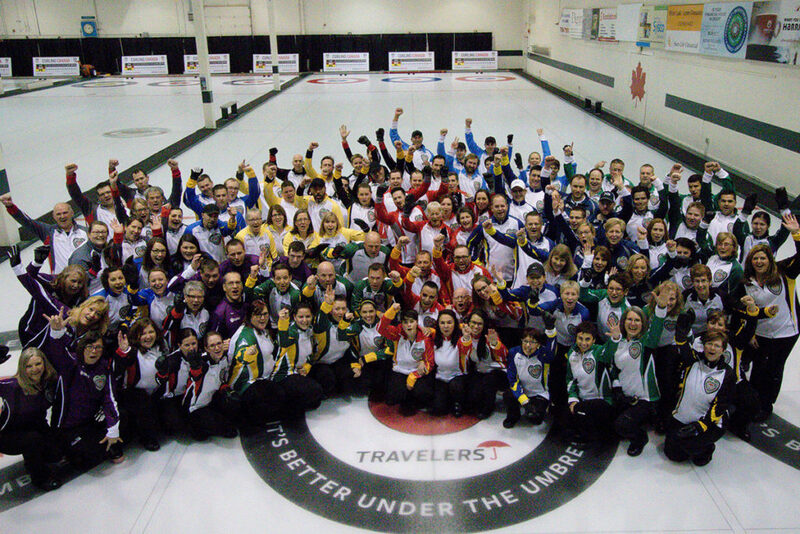 Teams gather for a group photo during the 2017 Travelers Curling Club Championships (Photo/Curling Canada). Kory Kohuch calling line during his gold medal run at the 2014 Travelers Curling Club Championship (Photo/Curling Canada). 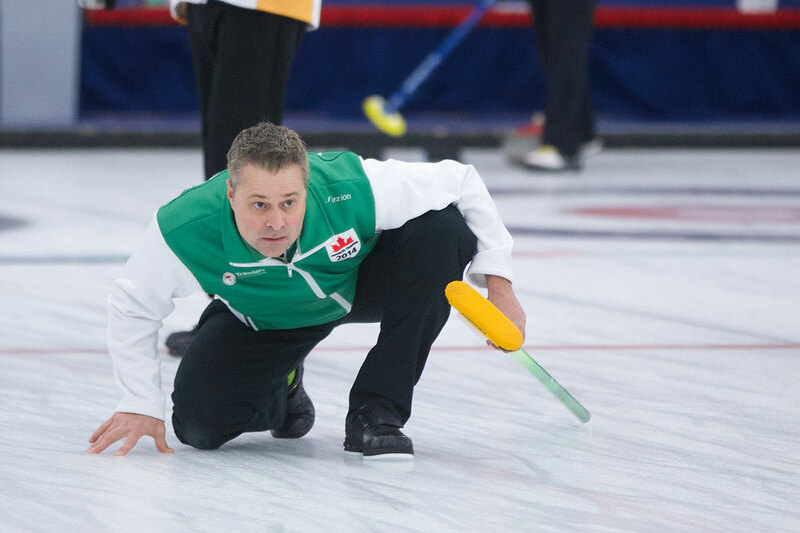 Skip Kory Kohuch has had a successful curling representation at the national level during the Travelers Curling Club Championships over the past four years! Kory, second David Schmirler & lead Wes Lang won the gold medal back in 2014, and also took home the silver medal in 2016 out in Kelowna with newly acquired third David Kraichy! Kohuch is also part of the Bruce Korte rink this upcoming season where they captured the first Sask Men’s Curling Tour Event of the season last month at the Saskatoon Nutana. Kohuch will look to lead his team back to the championship game coming up in Miramichi as their first game will look to take on Team Northern Ontario Monday afternoon! Their will be live streaming throughout the week, so make sure to take a look at each day’s featured games!